Multiverse was created at the dawn of Bukkit multiworld support. It has since then grown into a complete world management solution including special treatment of your nether worlds with NetherPortals. 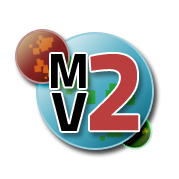 In the second delivery of Multiverse, we've broken it up into several smaller plugins that are each feature packed but *not bloated*! Multiverse provides the easiest to use world management solution for your Minecraft server, big or small, and with great addons like Portals and NetherPortals, what's not to love! Multiverse is back! Is your server, a Multiverse? Allow a nether per real world! How come when i link nether portals they spawn random in blocks high in the nether. It doesnt make a portal it only spawns you random high in the nether. Inside the roof. Whew, Thx! Apparently I accidentally downloaded one of the rouge plugin combos that doesn't work. I followed your links and its working again. It does put the return portal in an odd spot on skyblocks, I'll just fix this with a spawn and return gate at spawn so nobody falls off the world. After goofing up world names after my last reset, I couldnt get it working, till now! I have the same issue guys. Please solve it. Same problem as the two below, is there a fix for this? While I am commenting, great plugin guys. I am having some trouble on 1.7.5. The portal allows you to go through but it doesn't make a portal on the other side and it spawns you 9/10 above lava or in a wall and players die. How do I fix this? Can't you just create a Spawn in the Nether anywhere to your liking? Once players Portal to the Nether then they can go to Spawn and use the Island menu to go back home. Try that. Will I be able to use 2.5-b675 (beta) (and moving forward) for 1.6.4? I really need portals generating in the nether. Like when someone creates a portal in skyworld and when they go through it it generates one in skyworld_nether. Please help :( Players mad! I'm sure this has been asked before, but I can't seem to find an answer. How do you get the nether portal for a skyblock world, to teleport the player anywhere in the nether, aside from the roof of the nether (which is what's happening whenever I take the portal. This is after linking the worlds and setting the spawn and everything.) Players can't do much on top of bedrock, when they want to be under the bedrock, inside the nether. It is really good, this is just what I need! But I have a problem, I don't know if this is supposed to happen or not, but when I go through the nether portal from the nether to the overworld, i end up in some other portal floating above an ocean far from the other portal. @Nipshu No I'm not. Do I need one??? Do you have any kind of invertory seperator? Are you using Multiverse-Inventories?